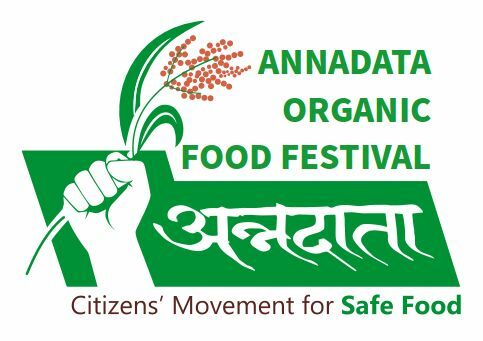 Bee Basket associates with Annadata Organic Food Festival and supports its safe food movement. Bees are sensitive to harsh chemicals used as insecticides. Organic or Natural Farming is the bee-friendly farming method. It is a well-known fact that amazing insect called ‘Honey bee’ produces honey by consuming nectar of flowers which it visits. Organic raw honey is a pure and completely unprocessed honey. It is a natural food with a lot of health benefits. 1) Organic raw honey contains natural antioxidants, enzymes and minerals including iron, zinc, potassium, calcium, phosphorous, magnesium and selenium. 2) It contains vitamins including vitamin B6, thiamin, riboflavin, pantothenic acid and niacin. 3) It contains nutraceuticals which help neutralize damaging free radicals activity. 1) As the honey has astringent taste, organic raw honey helps to treat obesity by reducing excess fat in the body. 2) Raw honey improves the vision. 3) It is very effective in healing the painful wounds and clearing the blocked channels in the body. 4) Many ayurvedic medicines are given to the patients by mixing with pure honey. Because pure honey helps to increase the quality and effect of those medicines without losing its own properties. 5) It is traditionally used to treat various skin diseases. 6) Since honey has astringent effect, it helps to treat diabetes mellitus. Let us eat the delicious organic raw honey daily in proper proportion and stay healthy! What is a safe food? Safe food means non-toxic food. This food is grown by adopting organic or natural farming practices. By growing safe food, the organic/natural farmers help save the biodiversity in nature. Bee Basket supports organic/natural farming at Annadata Safe Food Festival! Organic raw honey is considered as safe food! !